Goyang City will be hosting the Rotary’s 107th annual international convention, which is expected to attract more than 50,000 Rotary club members from more than 160 countries including Korea, making it the most multicultural nonprofit gathering in Korea. The convention is scheduled to be held at the Kintex convention center in Gyeonggi Province from May 28 to June 1 and it is estimated to host roughly 25,000 foreign nationals. The Rotary is a global network of volunteer leaders dedicated to tackling the world’s pressing humanitarian challenges. 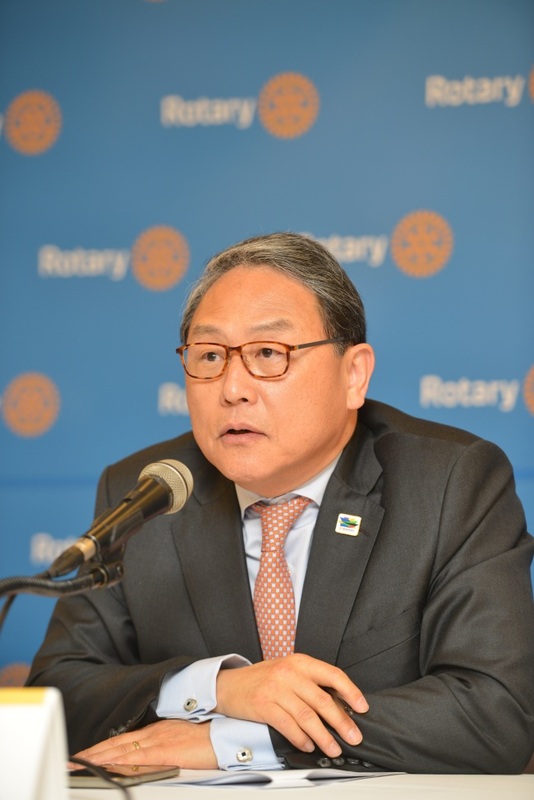 “In two weeks’ time, Kintex will host the Rotary International Convention, which will not be exclusive to Rotarians, and it is an event that I believe will contribute to Korean society in many ways,” said Rotary Host Organizing Committee chair Yun Sang-koo at a press conference in Press Center Seoul on Wednesday. During their stay in Korea, the Rotary members have the opportunity to engage in a myriad of workshops as well as attend lectures by world-renowned cultural figures such as hallyu star Psy, president and CEO of National Geographic Society Gary Knell and the director of the Center for Global Health Dr. Rebecca Martin. The upcoming convention is being held in cooperation with the Korea Tourism Organization. KTO has prepared a tourism booth at Kintex to offer various specialized tour programs and packages for the 25,000 international guests during their five-day stay in the country. “Our hope is to be able to showcase the beauty of Korea to our guests,” said KTO CEO Jung Chang-soo during the press conference. “We believe that those who experience the attractiveness and beauty of Korea will then go home and share their experiences, which we hope will lead others to want to come and visit our country (in the future),” he added. Korea, where Rotary was established in 1927, boasts the fourth largest Rotary club in the world, with 1,625 clubs and 64,149 members. 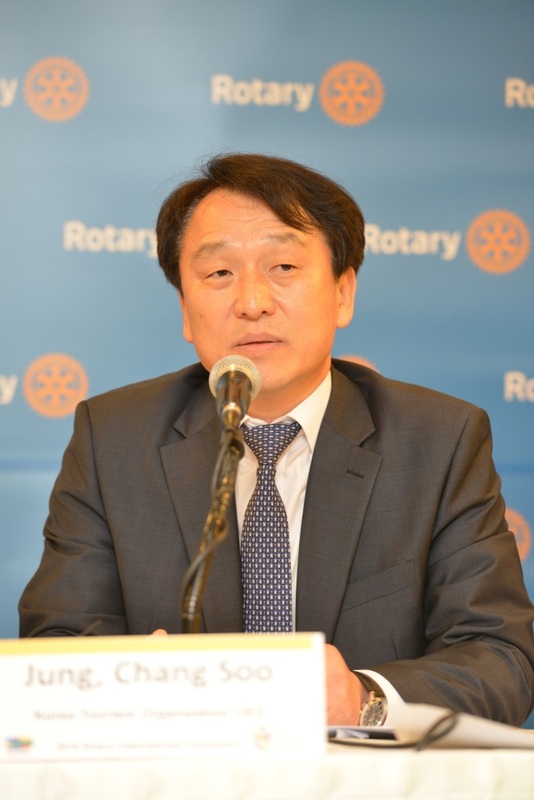 According to an official statement from Rotary International, KTO estimates that this year’s Rotary convention will bring roughly 292.5 billion won to the local economy and create nearly 2,000 jobs. The committee will also hold the “Rotary 3K Walk for Peace” at City Hall Plaza on May 28 with Rotary members dressed in their traditional attire.